I have no idea what they are saying, but the vibe is well nice. Will definitely not miss Windy City....have already been in touch with the group in order to get my hands on some of their music for airplay on my radio show. Love the vibe! Reminds me of Gomba Jahbari. 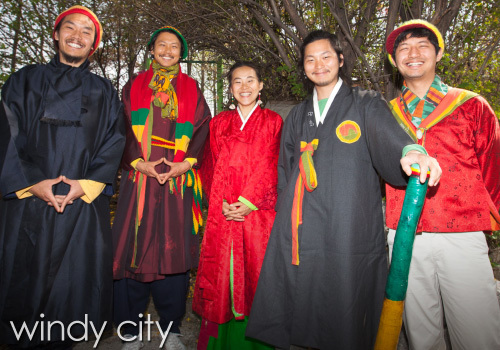 Yes Windy City and I and I Djangdan are top shelf stuff, reggae mixed with their various traditional sounds. I met Hoarang and his wife who does the art for I and I Djangdan and their lovely baby at a session in France couple of years ago. They were very nice people and the albums they gave use featuring both groups are great. Very cool and surprising to see Windy City booked at SNWMF! Bring I and I Djangdan to SNWMF next! Thanks for posting those videos Daniel. I am seriously looking forward to seeing these guys live. Like Duborganic stated, the reggae rythm mixed with their traditional sounds works so very well together. Great job to whoever suggested these guys. this is really great stuff / love these vibes! Windy City will be in Austin, Texas later this month to participate in the SXSW Festival. Their appearance is scheduled for Thursday, March 14 (10:00pm -10:40pm) at the Flamingo Cantina. I would recommend attendance most haile for any boardies in that neck of the woods. The Skatalites will also be performing at the same venue that night. That would be awesome! I would love to hear about their show. I would imagine it is going to be a positive report!